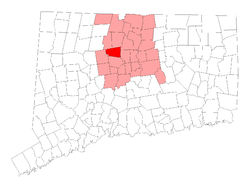 Avon, a town in the Farmington Valley region of Hartford County, Connecticut, is conveniently located just 7 miles from two of our dentistry offices, the West Hartford pediatric dentistry office located at 345 North Main Street, and the Unionville pediatric dentists' office at 101 Main Street. Parents living in Avon, CT understand that prevention and education is the best kind of dental care. We often give presentations at local schools about how to properly maintain oral hygiene in mouths of all ages. When prevention doesn't go far enough, we are here to offer restoration services, cosmetic services, and emergency services to our young patients. We provide a fun and friendly atmosphere for children of all ages to come in and get the care they need. You'll find that our friendly team will make each visit pleasant, eroding the old cliché of children being afraid of going to the dentist. We have years of education, training and experience to help your child feel at ease. As pediatric dentists, as opposed to regular dentists, we have two or three years of specialty training after dental school, and we only treat children. Kids from Avon, Connecticut should start seeing a pediatric dentist as soon as they have their first tooth, normally by their first birthday. Early examination of teeth and preventive care forms the basis of good dental hygiene and helps them start learning early how to properly care for their smile. Residents of Avon, Connecticut have trusted friends in pediatric dentistry at CT Pediatric Dentistry. We opened our West Hartford pediatric dental office over 42 years ago. Since then, we've opened up two more locations, the one in Unionville, and one in North Windham as well. At each of our three locations, our dental doctors employ a friendly and knowledgeable staff made up of our assistants, dental hygienists, and help at the front desk. To schedule an appointment with us in West Hartford, dial 860-523-4213, or if you'd like to make an appointment at the Unionville location, call us at 860-673-3900. We at CT Pediatric Dentistry look forward to hearing from you Avon, CT.